There's a lot of debate around the future of newspapers, but there's at least one that will still be around in 50 years – though you'll need to dig it up to read it. 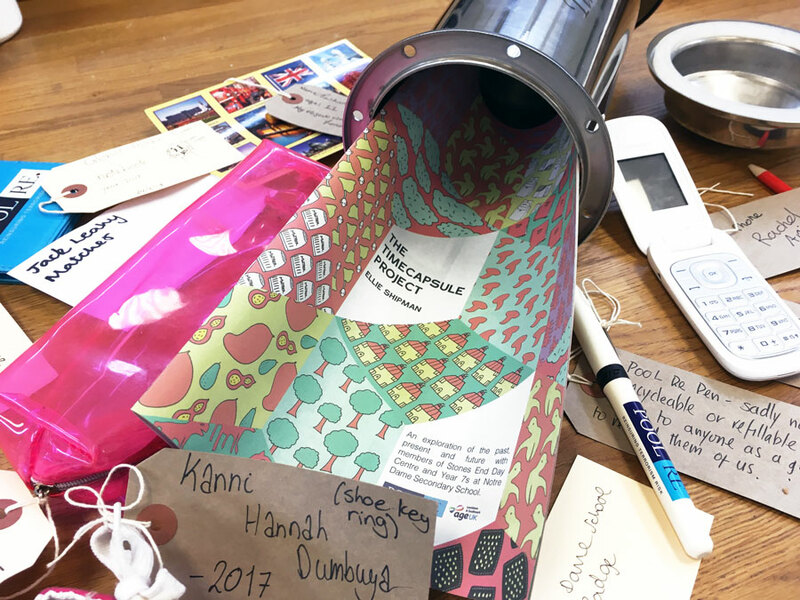 Buried below ground until 2067, along with a pink pencil case, Samsung flip-phone and other modern day mementos, is our Newspaper of the Month – The TimeCapsule Project. The digital mini documents a community project facilitated by artist Ellie Shipman and commissioned by Pool Reinsurance. 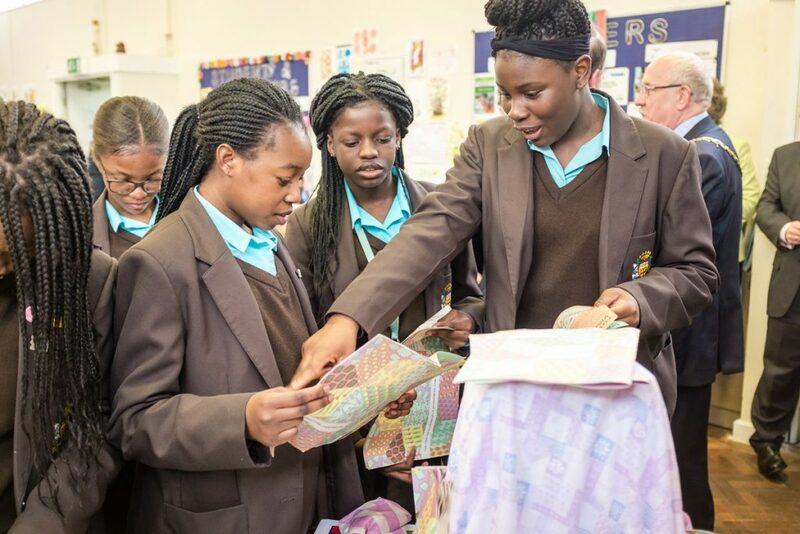 Over the past few months, students from Notre Dame School have collaborated with participants from Stones End Day Centre, a facility supporting older adults with care needs, to explore music, food and fashion across generations. The project culminated with the burial of the time capsule, which also included audio recordings between participants, and a celebration on 15 May 2017. 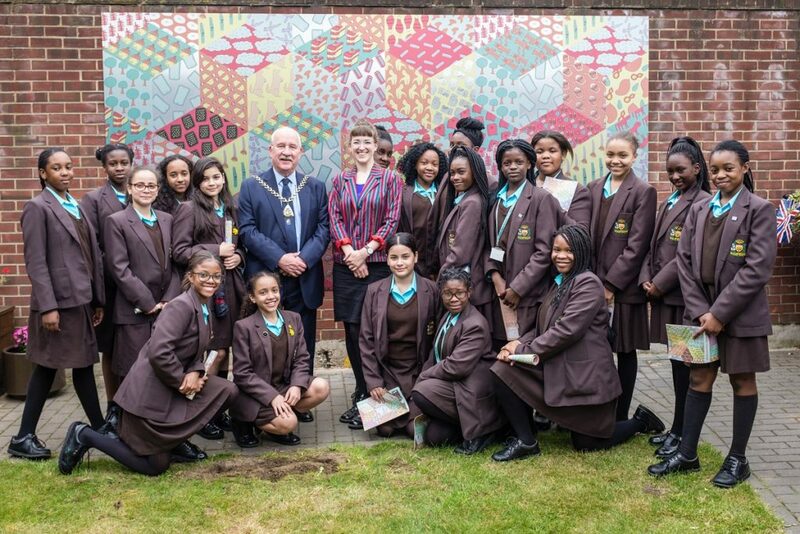 A new public artwork was also unveiled in the garden at Stones End Day Centre – an aluminium quilt featuring works from all the participants. Shipman tells us: "I wanted to make a newspaper to share the process and stories in the most accessible way. 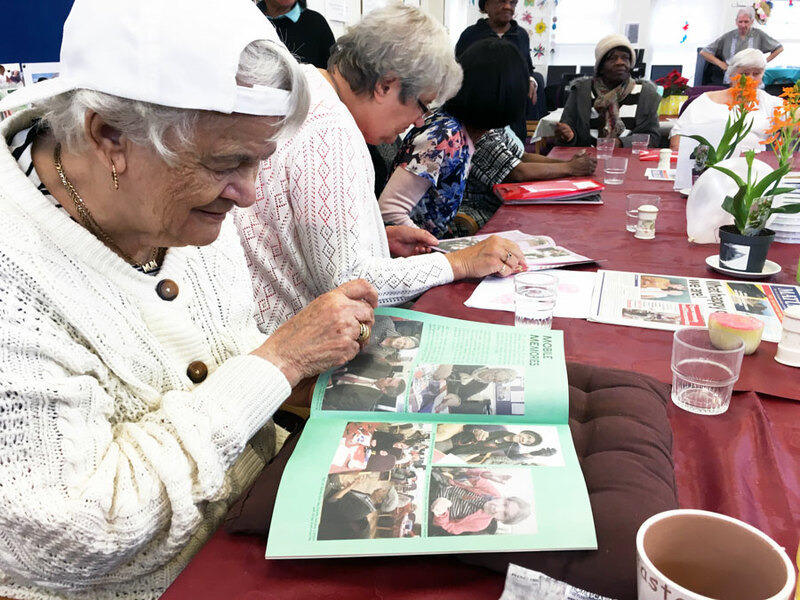 The older people at the day centre love reading the papers – this was a way to say thank you and share their photos and drawings in a familiar format, without having to go online." "The newspaper was a real focus at the launch event to show the participants' achievements to staff and project funders, too. It also acted as an activity book to interact with, and directed people to the blog and podcast through QR codes on the pages. We made sure there were enough copies for everyone involved plus their family and friends, as the paper was a great memento and souvenir of the project." 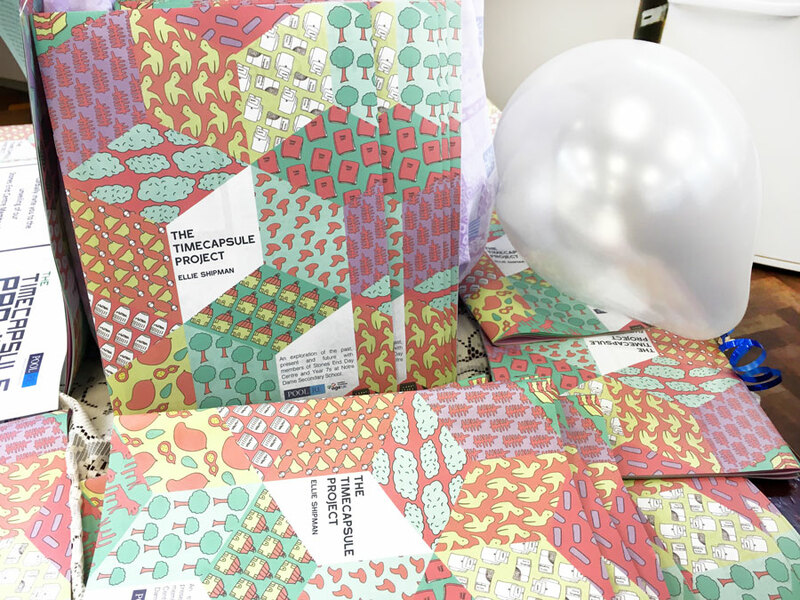 Read more at The TimeCapsule Project website and see some photos from the launch day below. Thanks for printing with us – we'll check back in 2067!